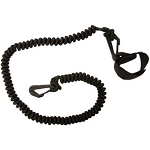 Product: Lifetime Kayak Accessories - 1074601 Adjustable Expedition Elite Black Kayak Paddle. Free shipping to the lower 48 United States for this kayak paddle. 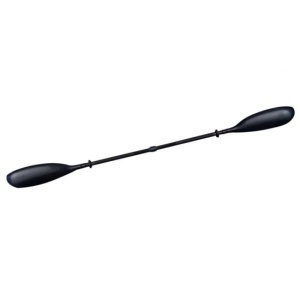 This carbon-fiber shaft kayak paddle provides you different lengths depending on the water conditions. The length can be adjusted from 86.6 inches to 90.6 inches. 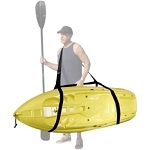 This kayak paddle is suitable for just about any kayak. Shaft material of construction: carbon fiber. Paddle material of construction: fiberglass reinforced nylon. Nylon used on the blades: injection molded nylon 66. 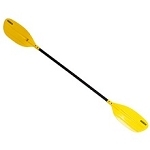 Paddle is adjustable to different lengths depending on the water situations. Adjustable sizes: 86.6 inches to 90.6 inches. This listing is for 1 qty. kayak paddle. Product generally ships via FedEx directly from Lifetime Products. Expected delivery time: typically product is delivered within 7-10 business days depending on proximity to the warehouse in Clearfield, Utah. 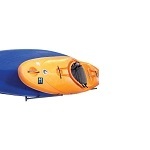 Paddle is suitable for flat water conditions and touring. Dimensions: 45" x 6" x 6"